Bitcoin recently had a big sell off and crashed down to around $3000 from a height of about $5000. However, it quickly climbed back up to $4850. In this article, we are going to examine the reasons why Bitcoin crashed and why it was able to climb back up after the big sell off. We are also going to see what we can learn from this episode and then analyze where Bitcoin will likely go in the future. It's always good to study past price action and learn from them. As history repeats itself again and again in the markets, we can definitely gain some gems from this analysis. One of the most terrifying experience that an investor can go through is to suffer a big drop in his or her portfolio in a short period of time. Even the 2007 -2008 financial crisis took about a year for the S&P 500 to lose half its value. Bitcoin took the meaning of crash to another level. From a height of about $5000, the cryptocurrency lost about 40% of its value in about 2 weeks. The crash ended when Bitcoin dropped to the $3000 level. The chart above is the 2 hour chart of Bitcoin/USD. You can see how the cryptocurrency hit a high of about $5000 in early September. It then proceeded to sell off to around $4000. Bitcoin then tried to rally back up and it hit the $4600 level and from there it started to decline again all the way down to $3000. The question is, why did Bitcoin fall so rapidly? Was there any sign that it was topping? There is always a reason why a financial instrument tops out. The chartist can often look for clues and thankfully we have many many past charts to assist us. If you study the past stock market crashes, commodity crashes and whatever crashes you can get your hands on, they almost always give you lots of hints that the price is not sustainable and will crash soon. 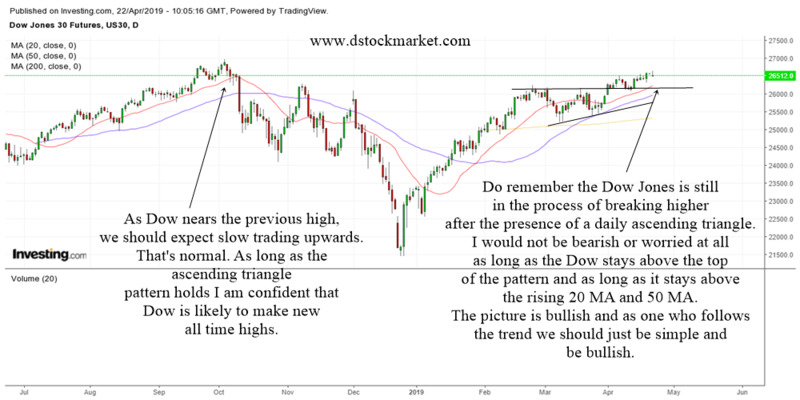 I have written about it in How To Spot A Top In Stocks and How To Spot When A Stock Is About To Begin A Downtrend. Since history repeats itself again and again in the financial markets, we can actually put in a list of things to watch out for. As you study the chart of Bitcoin below, you will see that it gave us some signs of topping out. The chart above is the daily chart of Bitcoin. You can see that Bitcoin really had an impressive run since April 2017. From a price of around $1200 it shot up to about $5000 in 5 months. That is an impressive 400% return in less than half a year. If you look at the chart there were a few things that gave us hints that Bitcoin was topping out. One of the signs of topping out is when an instruments breaks a trendline. Trendlines especially longer term trendlines are very important. When the instrument drops below a trendline it can signify a significant change to the momentum of the stock or instrument. Many traders will start to be very careful when their stock breaks a daily trendline. Breaking below moving averages are also a good way to spot shifting momentum. In the case of Bitcoin, it has stayed above the rising 20 MA for quite some time. When it dropped below the 20 MA, it also gave traders another hint that it was topping out. The next important thing is Bitcoin failed to make a higher high. 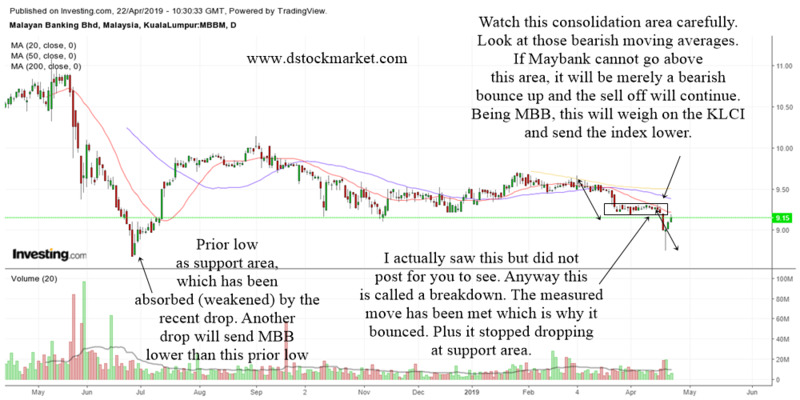 Its quite alright for a stock or instrument to have corrections. But when the correction is not followed by a higher high, it gives us a hint that Bitcoin does not have the power to move higher. Instead of making a higher high, Bitcoin made a lower high and then proceeded to break below a trendline and the 20 MA. All these 3 technical incidents help to give the trader clues that Bitcoin was topping out. There is also something very special with round numbers in stocks, indices and financial instruments. Many times, you will find that they often stop rising at certain round numbers. Be it $100 in a stock or 22,000 in the Dow or $5000 in Bitcoin. When you see the financial instrument reaching a round number especially important ones like intervals of 50, 100 or 1000, its better to be cautious. If you take a look at the chart of Bitcoin, you will also notice that it started to drop when it hit the area of $3000. Therefore, it is not surprising at to find that Bitcoin topped out at the round number of $5000. The next thing that a trader needs to look at is divergences. When a stock or index or any financial instrument makes higher highs, it is always good to be on the lookout for divergences between price and indicators. Different people will have different indicators that they like. Just choose one or two that you like and learn to use it as divergence indicators. The chart above shows the price of Bitcoin and its MACD indicator. When you study it carefully, you will notice that although Bitcoin is making higher highs, the MACD Histogram and the MACD Lines were actually making lower highs. When a trader sees this divergence, it is always best to investigate more and be very cautious. This is especially important if price has run up a lot since the breakout. To truly be able to analyze Bitcoin, the trader also needs to look at the longer term charts as well. If you are trading using the daily charts, then it makes sense to look at one higher time frame. The weekly charts are quite good to allow the trader to have a big picture of what is happening to Bitcoin. The weekly chart of Bitcoin above shows us that Bitcoin really did have a fantastic run up this year. It also shows us that fast crashes are common to this cryptocurrency. In June 2017, Bitcoin had a big crash down. From a high of about $3000, it drop to around $1800. Therefore, the recent crash is not surprising in light of the June crash. Any drop that is more than 20% can be considered a crash and a bear market. The crash did not last long as Bitcoin was able to find support at its rising weekly 20 MA. 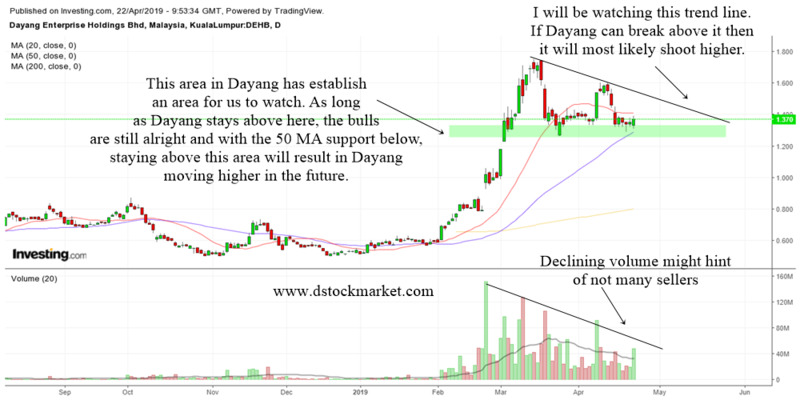 It quickly formed a Bullish Engulfing Pattern and proceeded to move higher. One of the ways that a trader can set a target is to take the height of the previous move and project it upwards from the base of the breakout. When you look at the chart above, you can see that Bitcoin met the target in just a few weeks. It even shot past the target. When it went past the target, the trader should be very careful. Price does not go up forever in a straight line. Therefore, as it reached the $5000 area, it should flash a warning to observant traders. Bitcoin finished the week with a Topping Tail and that gave a warning to traders that things are getting very overbought. Bitcoin crashed after the appearance of the weekly topping tail. One of the amazing things about Bitcoin is it quickly rallied back up after the crash. In fact it even went back up to the previous high. A superb recovery indeed. This may seem to puzzle many traders but we will now demystify this process. In order to understand why Bitcoin kept on rising, the first thing that you need to understand is the concept of trend. Right here in Dstockmarket.com we are big believers in trend following. If the longer term trend is up, then it makes sense to believe that Bitcoin will continue to rise. Take a look at the weekly chart of Bitcoin and you will know that despite the crash, the longer term trend of Bitcoin is still up. Which explains why the many big corrections in the Dow Jones Industrial Average and S&P 500 in recent years always end up with the indexes going back up and moving even higher. That's because the long term trend of the major indices are up. The "trend is your friend" as they say. If you take a look at the daily chart of Bitcoin above, there are a few things that hinted to traders that Bitcoin was going back up to previous highs. For the trained eye and seasoned trader, all these things will be very clear. But for the new trader, let us take some time and try to understand what happened. First of all, you will notice that Bitcoin stopped crashing when it reach the support area around $2800. The support area was a very strong support area because there were two kinds of support there. The first one was an old high which once overcome becomes a new support. Secondly there was a consolidation type of support present. Consolidations can often act as support. With the presence of two support, it was not surprising to see Bitcoin stopped crashing at that level. The next thing you will notice is the climactic volume that came in with the big red candlestick as it approach support area. When a big red candlestick is accompanied by heavy volume, it often tells us that the crash has become so severe that it scares everybody. Everyone is throwing Bitcoin away and selling them until there is no sellers left. Since there is no one left to push the price down, Bitcoin goes back up. This is also where the wisdom of Warren Buffett comes in. According to Buffett, he says "Be fearful when others are greedy, and greedy when others are fearful". When Bitcoin dropped to the support, there were lots of people who were fearful and throw in the towel. But the next day, the buyers who saw the support area came in with full force and practiced the wisdom of Warren Buffett and started to collect Bitcoin. The heavy buying caused an unusual volume on the chart and that hinted of a bullish reversal to Bitcoin. Do note that the volume on the bullish day was even heavier than the volume made on the bearish big bar. According to Buffett, he says "Be fearful when others are greedy, and greedy when others are fearful". As Bitcoin continued to rise, it broke above a downtrendline. Breaking a trendline can represent a significant change of trend. When Bitcoin broke the trendline, it told us that there's a possibility of a new uptrend forming. Another big clue was just around the corner. Bitcoin formed a Cup With Handle Pattern after breaking the trendline. The cup with handle pattern is a bullish reversal pattern that often happens after a crash or correction. When it formed in Bitcoin, it gave traders the confidence that Bitcoin was going to go higher. Now that we have had a look at the technical reasons why Bitcoin fell and then recover all its losses, its time for us to stretch our imagination and see where will Bitcoin likely go in the near future. For that, we once again turn to the charts for some guidance. 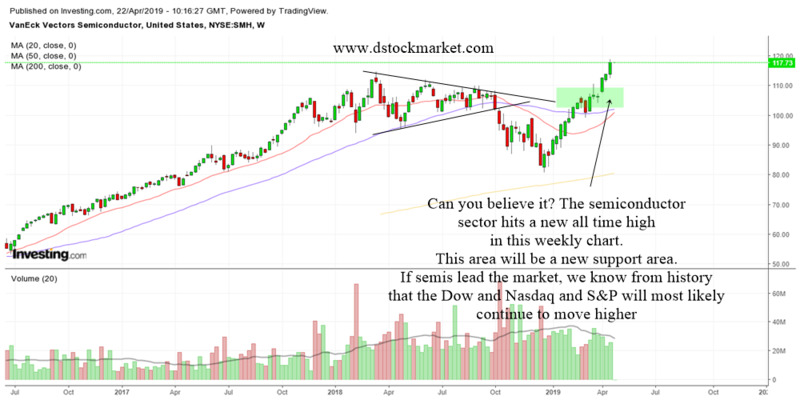 Firstly, we need to be aware that whenever a financial instrument makes the same high as the previous high, there is always a fear that it may form a double top. It may not necessarily happen, but its good to be aware of the possibility. Looking at the charts, Bitcoin probably won't form a double top if it consolidates a bit. If it is able to consolidate a bit at the old highs, there is a good possibility that it will break out higher in the near future. In the event of a correction, there is an area of support below which I have drawn. If the support area is able to hold, then Bitcoin will likely go back up again and resume the uptrend by making higher highs and higher lows. If you would like a day to day analysis of Bitcoin do join my Telegram group which you can find the link below or follow my Daily Stock Market Analysis where I analyze Bitcoin almost every day. This is one really really very fascinating and interesting case study on how Bitcoin crashed 40% and recover all its losses within a few weeks. A truly superb recovery that astonishes so many people. But as traders we know why it crashed, why it bottomed and why it shot up again. 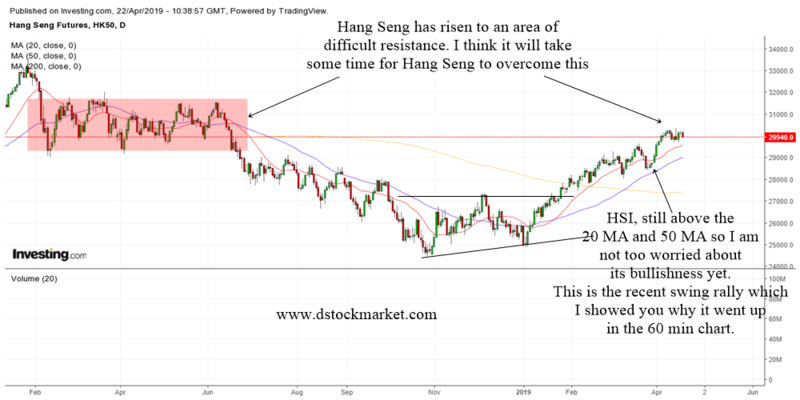 Hope that this article open your eyes to the exciting possibility of correct technical analysis and the benefit it gives.